A few weeks ago we looked at the greening of Newark in the 19th and 20th centuries, especially the tree-planting efforts of Carl Bannart. Well, the tradition continues. Between $500,000 and $1 million is spent annually on new trees from the city's capital budget. From the earliest times, trees have been important to Newark. Ancient white cedars once grew in Newark's nearby swamps. In fact, several root systems were discovered during a WPA construction project in the 1930s. As early as 1759, a corduroy road of tree trunks was laid between the Newark Bridge and Jersey City. In addition to being a city of great trees, Newark also was a place for important agricultural experiments as well as it is today a place for lovely gardens and sylvan hideaways. One early travel account describes the roses that grew in front of colonial homesteads on old Broad Street. Professor James J. Mapes, scientist and agricultural pioneer, came to Newark in 1847 and settled in the old Clinton Township section where he purchased a 12-acre plot, which he never farmed but used as an experimental station. There he developed the nation's first artificial fertilizer, originated super phosphates, produced Epsom salts from hydrobisilicate of magnesia, and is credited with conceiving the United States Department of Agriculture.His daughter, Mary Mapes Dodge, was the editor of the popular 19th century periodical, St. Nicholas Magazine, and author of the famous Hans Brinker and the Silver Skates. 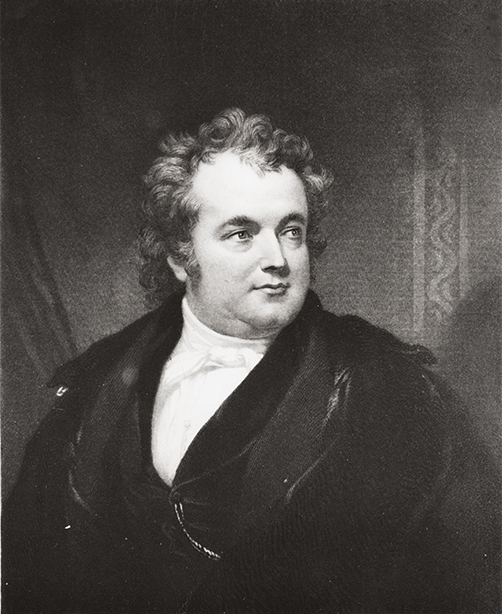 Professor Mapes, for whom a South Ward street is named, was host to dozens of famous Americans of the day, including Horace Greeley and William Cullen Bryant. A once rural section of Newark along the Elizabeth town line was formerly the site of one of New Jersey's greatest agricultural fairs. This was not only the state's oldest fairs, but certainly one of the best known. The old English country fair was already familiar in places like Burlington County by 1680, but it was not until 1856 that the New Jersey State Fair was first held in Newark's Waverly section. This became an annual event until the outbreak of the Civil War. By 1867, the fair started up again with exhibitions of livestock, farm goods, art displays, baseball games, velocipede demonstrations, and, of course, horse racing. Nearly everybody joined in on the fun including President Grant in 1872. Only the fair's stockholders were gloomy over the non-existent profits. Consequently, they sold the fair grounds to the Essex County Park Commission in 1899 for $75,000. Today this site is part of Weequahic Park. Gardening in the early part of this century clearly centers on the old Essex County Park Commission. At first, the commission designed formal rose gardens in the grand European tradition as well as natural sites with rustic bridges, well-placed boulders, and cooling waterfalls. Views of all these sites were recorded on hundreds of postal cards and in thousands of snapshots tucked away in treasured private scrapbooks. The lavishing of money and love on cherry trees by Mrs. Feliz Felix Fuld and her brother, department store magnate Louis Bamberger, is a well-known story to most Newarkers. Their gift of pink and white lace-blossomed trees made Newark world famous as the greatest center for cherry blossoms anywhere. In 1959, the chrysanthemum show in the Branch Brook greenhouses brought 15,000 visitors to town to see the handiwork of James Thompson, master gardener. Even today, bright splashes of color exist at the foot of the Ballantine Gateway in the upper division of the park near the Newark/Belleville border. In the 1960s,a great downtown botanical garden was planned for Newark's central core by Dr. Sydney Greenfield, professor of botany at Rutgers-Newark. Several large glass houses were to be built between the DL&W (Broad Street) Station and the Newark Public Library and Newark Museum. The inside of the three greenhouses was to be devoted to tropical, desert, and temperate-zone plants. The center was to act as an educational anchor for the city, which already was becoming a major college center for New Jersey. Unfortunately, the national riots of 1967 and the accompanying political unrest prevented this concept from developing. Maybe it is time to try again. Nevertheless, over at the Rutgers-Newark campus, Professor Greenfield still was successful in guiding the landscaping of more than 40 species of trees and a variety of shrubs, which still greatly enrich the beauty of the college and provide specimens for the teaching of botany and biology. In recent years two gardening agencies have emerged to assist the host of amateur gardeners found all over the city. The Greater Newark Conservancy was established to assist inner-city residents revitalize neighborhoods and to administer urban-based environmental programs through a partnership of city and suburban volunteers. In particular, the conservancy works to upgrade the quality of life by enhancing natural resources including trees, wildlife, water and open spaces and to assist those who plant their own home gardens. Encouragement is given to those who plant window boxes as well as those who organize larger projects such as formal gardens. The Rutgers Urban Gardening Program is devoted exclusively to vegetable gardening in Newark, one of 25 such federally sponsored programs in the United States. The program boasts 2,000 community gardeners who've planted their crops on 30 acres of vacant city land, involving more than 7,000 people who raise nearly $1 million worth of food each year. More than 80 species of vegetables are raised annually for city residents who participate in a yearlong training program to learn how to farm in an urban environment. A tour of Newark's past agricultural and present gardening efforts indeed yields a rich harvest.